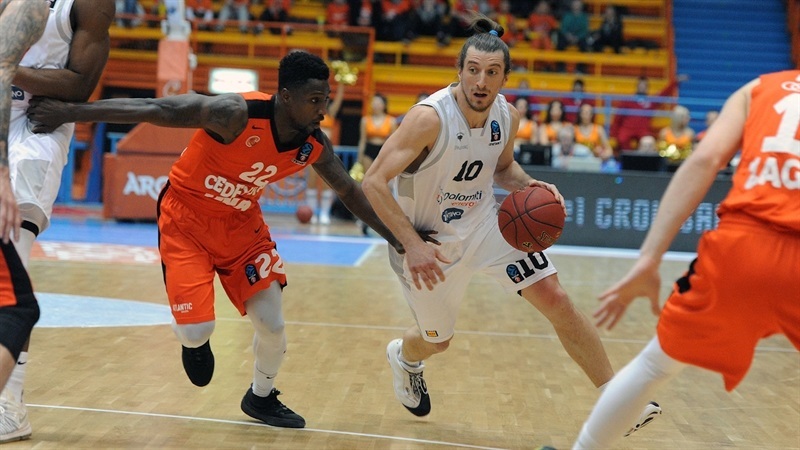 In a clash of two already-eliminated teams, Dolomiti Eneriga Trento held on to down Cedevita Zagreb on the road 77-81 on Wednesday night. 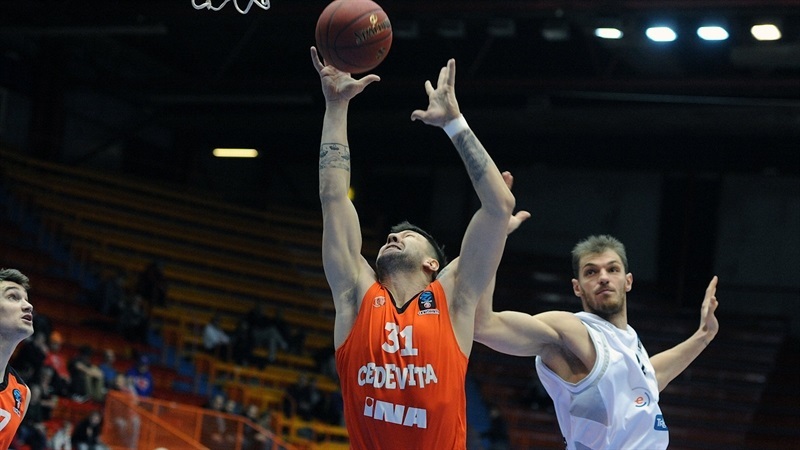 Trento improved to 2-3 in Group G and will finish third in the standings, while Cedevita remained winless at 0-5. 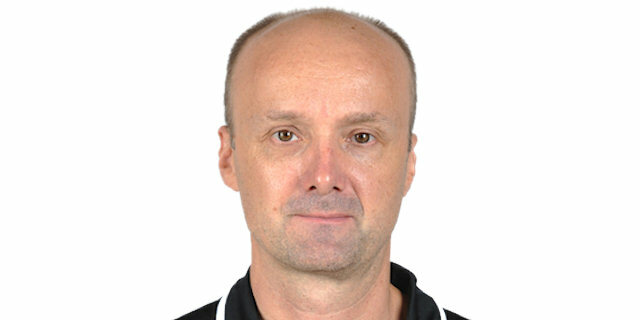 Trento led by as many as 21 points in the third quarter behind Ojars Silins, before Filip Kruslin led Cedevita’s fourth-quarter rally. 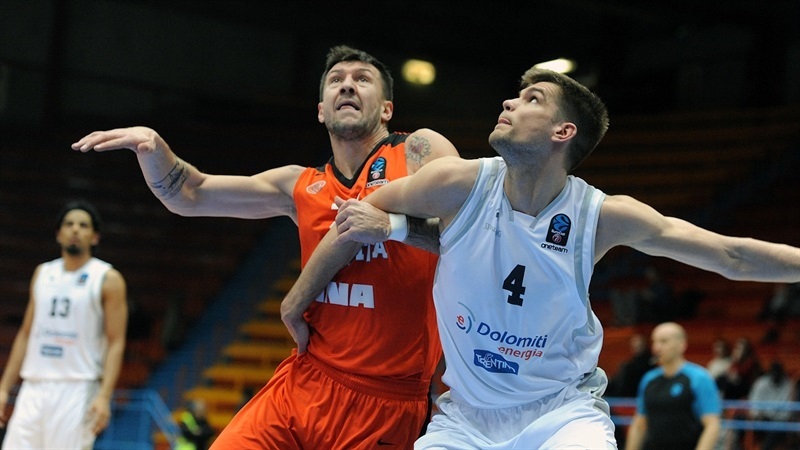 Trento prevailed in the end thanks to 21 points from Yannick Franke. 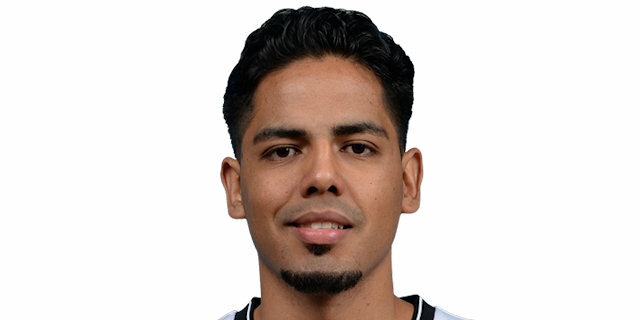 Silins scored 14 of his 16 points in the third quarter, and Jorge Gutierrez tallied 12 points and 11 assists. 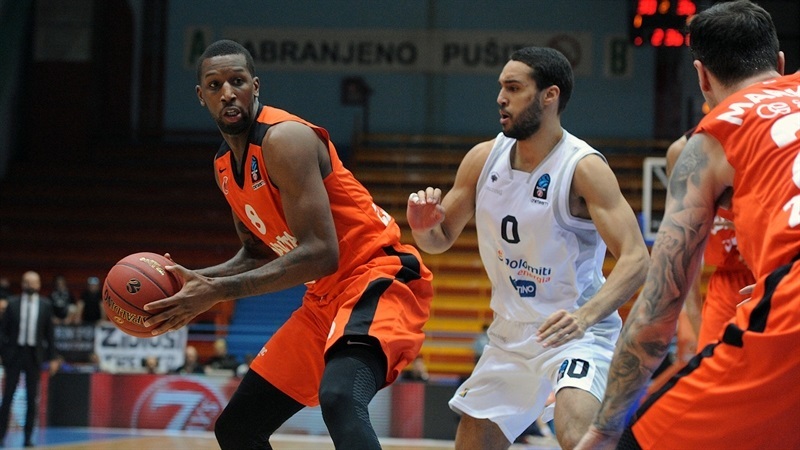 Dominique Sutton also scored 12 and Beto Gomes finished with 10 points in victory. 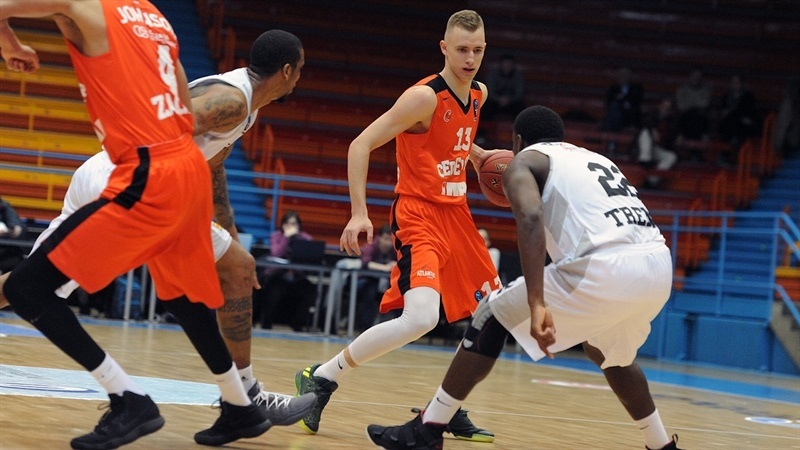 Kruslin netted 21 points for Cedevita, Dzanan Musa scored 13, Will Cherry had 12 and Toni Perkovic finished with 10 in the losing effort. 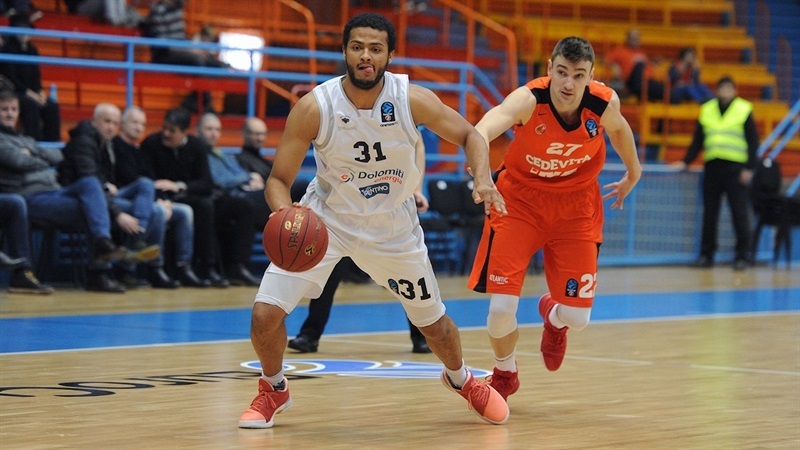 Cedevita opened the game with Will Cherry and Perkovic sinking triples, but Trento answered with a run during which Gomes scored 7 points, including a triple, and Franke had a three of his own. 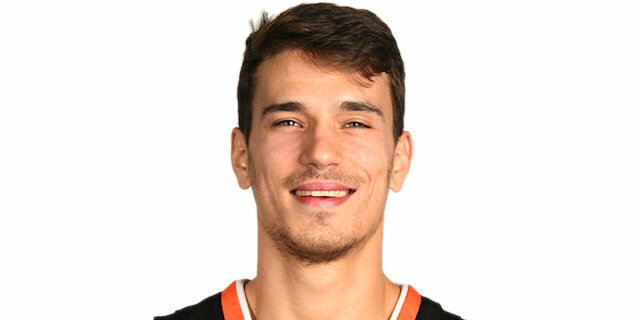 Kruslin snapped a 2-14 run with a three-pointer and after Musa hit one from long range for Cedevita, Kruslin added a pair of three-point plays. However, Franke strung together 6 points to keep Trento in front, and Sutton nailed a triple to close the first quarter at 23-28. Totto Foray scored twice early in the second quarter to help increase the margin to 26-34. Demetris Nichols hit a triple for the hosts, but Dustin Hogue scored twice inside and Jorge Gutierrez’s fastbreak layup made it 34-42 at the break. Trento broke the game open in the first four minutes of the third, when Silins nailed three triples and a fastbreak layup to open a 38-56 lead. Another three from Silins and a dunk by Sutton made it 45-66 in the final minute of the third quarter. 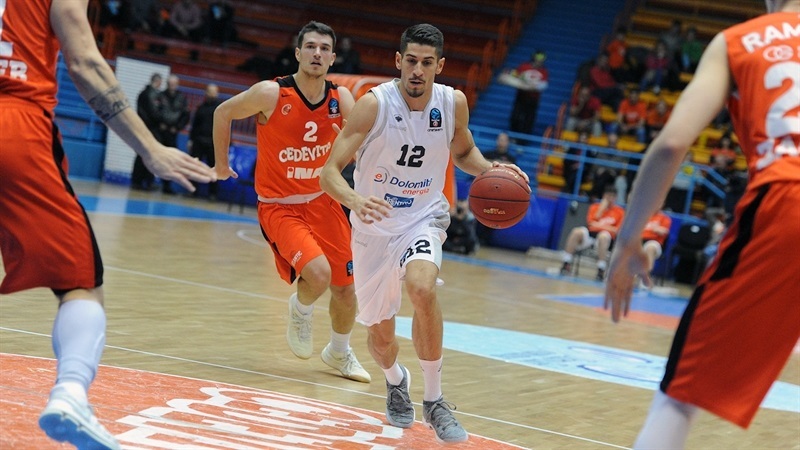 However, Perkovic hit a triple before the end of the third and Kruslin one to start the forth, before Cherry from close range and Damir Markota from long range trimmed the gap to 65-71. 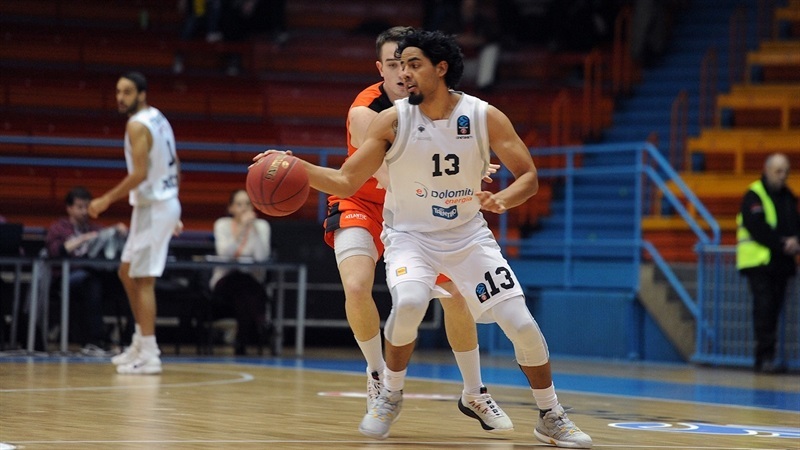 Gutierrez drove through Cedevita’s defense and Sutton muscled his way for a big dunk, but Kruslin’s back-to-back threes got the hosts within 73-77 with two and a half minutes to go. Cedevita had couple of possessions to get even closer, but first Gutierrez blocked Musa’s shot and then Gomes swatted away Perkovic’s runner, as Trento held on. "We wanted to win this game, but we did not succeed. Both teams needed this win tonight to get back on the winning track. We played without two point guards, so we had problems with organization on offense. We have problems on defense lately, but it is hard to play aggressive when you have played so many games until now." "We played under control today and that was very important. We need to play aggressive on the floor, but we also need to play calm. We played like that tonight and I am happy we won this game after losing five or six games. In three days we play a very important game in Italian League, so we needed this win." "This was a tough game for us. We played many games this season and we are very tired. We do not have enough energy and it is not easy to play. We need to do everything we can to get back on the right track." 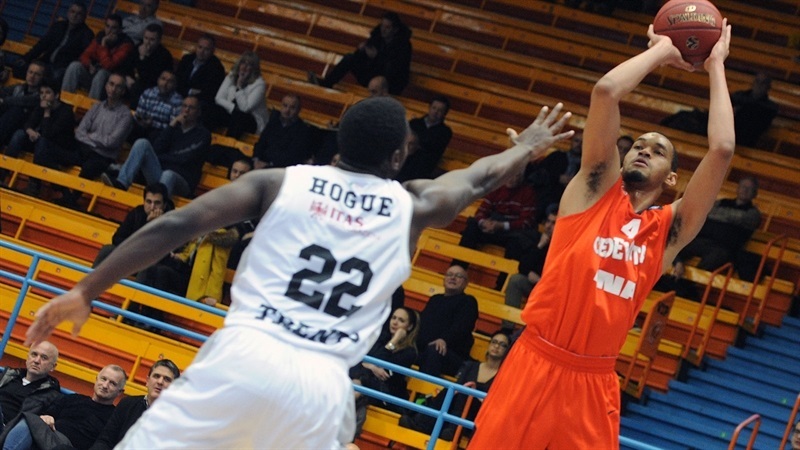 "Cedevita is a very good team, very well coached. We knew we had to come in, play hard and play together. Fortunately we got the win. Our last game we are going to take as we took this one. We got to play hard because it is a very good team we will be playing against. We got to keep getting better."